Let me start off by saying testing is no fun! No one likes it but it is what it is. 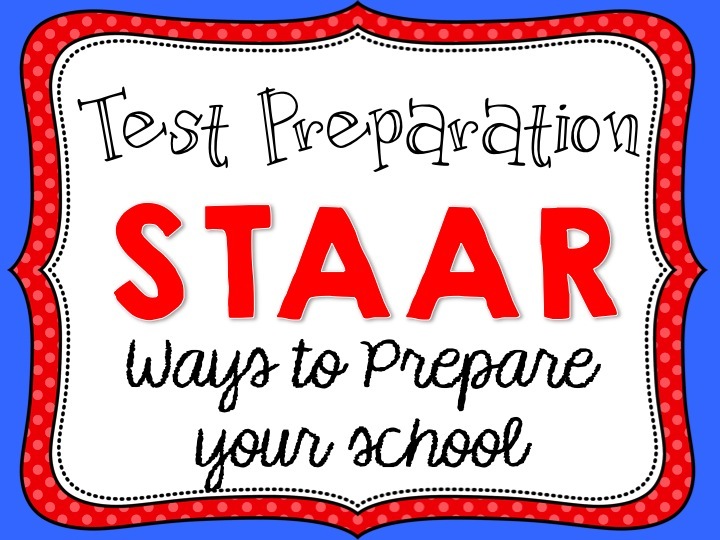 We have no choice and for state accountability we are required to administer the STAAR test. Why not make it easy on ourselves while in the process? Just a fair warning tonight. You are going to be in picture overload. I snapped a few pictures today while I was working. I stay organized and I mean super organized. There is way too much information to remember and a lot of paper work comes with it. 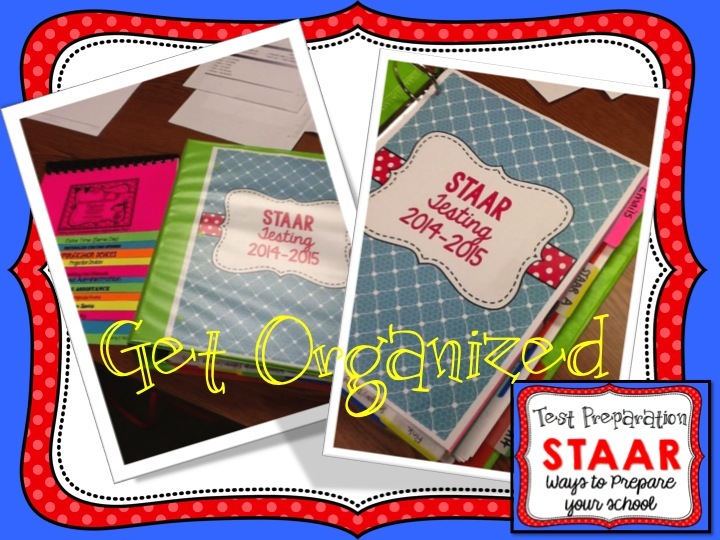 I created a STAAR binder to organize all of my "stuff." Take a look. 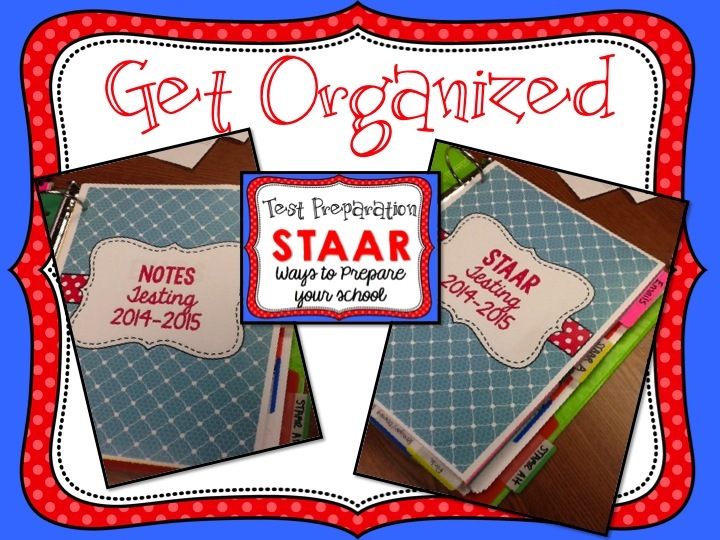 If you are interested in this binder, you can download a FREE set from my dropbox. Although I am not a big fan of testing, I am a big fan of giving students the right tools in their hands to be successful. 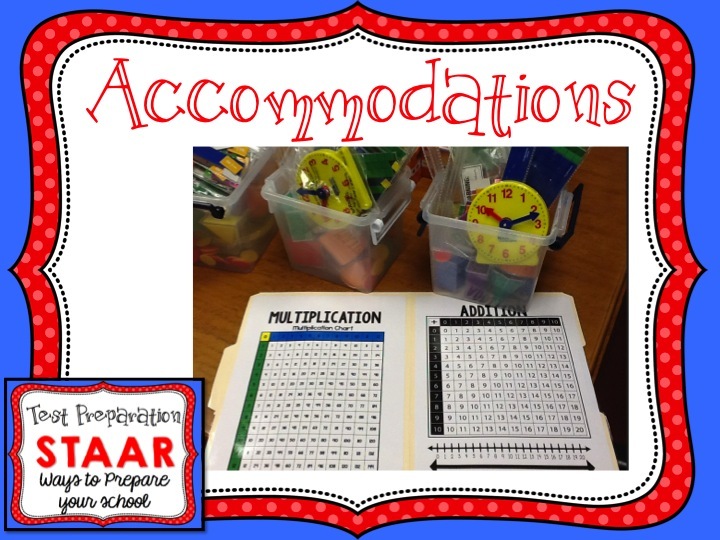 Not all accommodations are right for testing but more suitable for classroom testing and daily instruction. 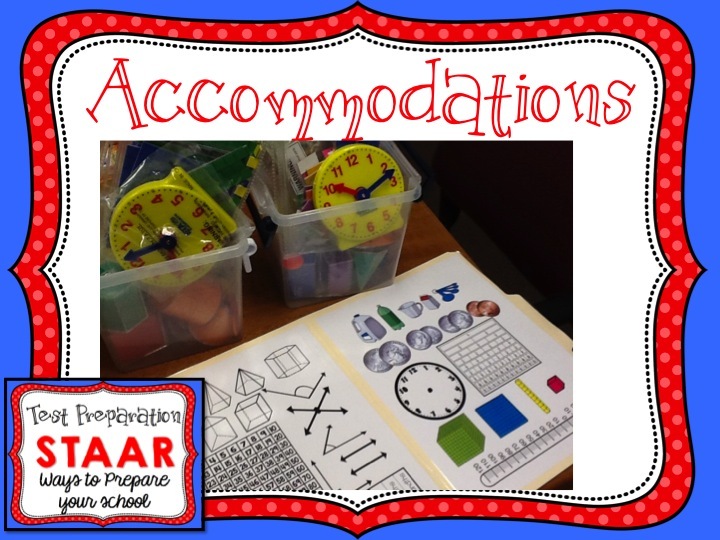 Students with learning disabilities often need accommodations to complete assignments. These students need a fair shot at being successful. 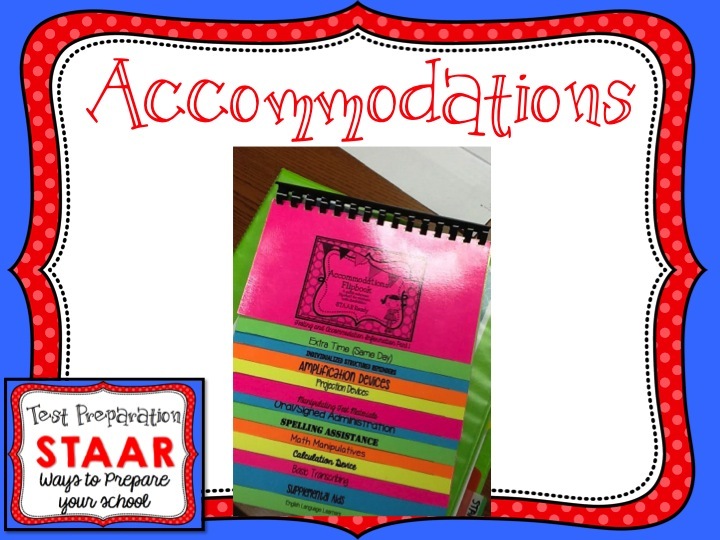 The best way I have found to stay organized with the various accommodations is through the flipbook. I love my flipbook and use it all the time EVERYDAY. 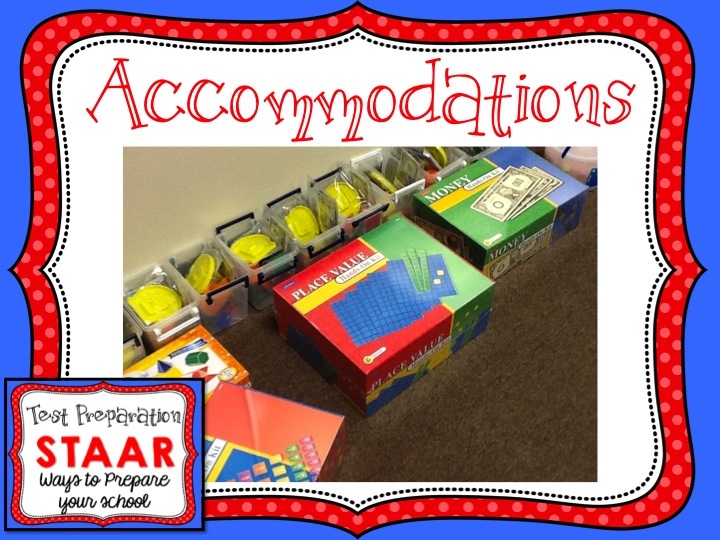 Here are a few pictures of our math toolboxes for students. The math toolboxes are loaded with hands-on manipulatives for students to access during testing. 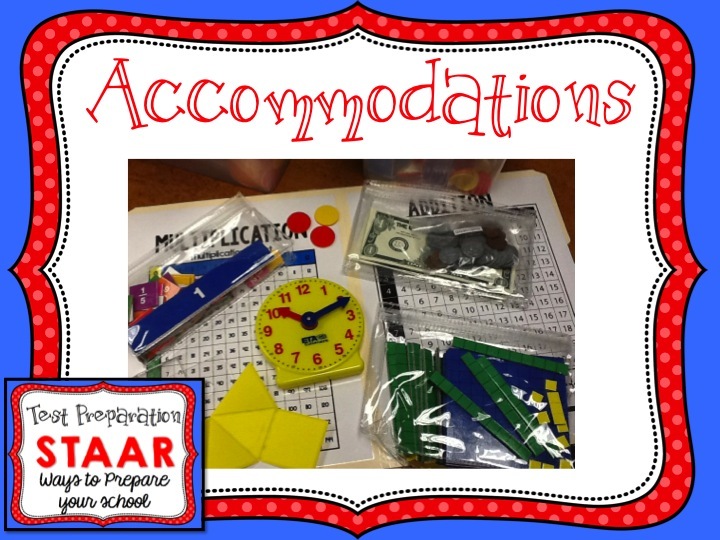 Which math manipulatives are needed are determined by the ARD committee on an individual basis. 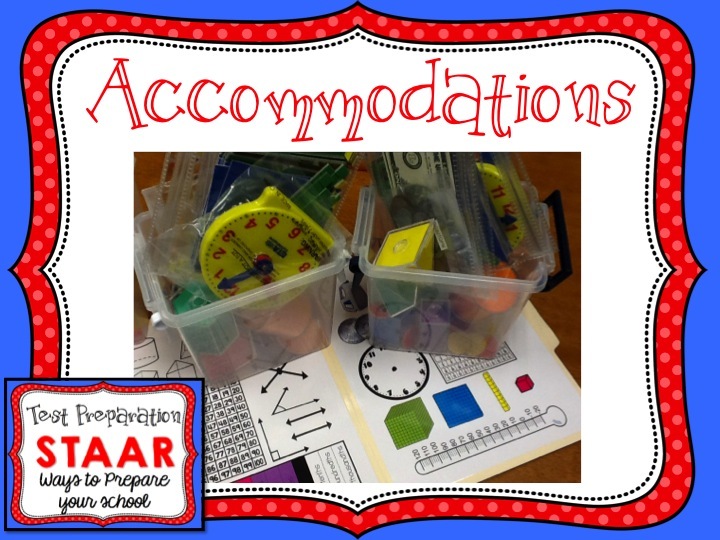 The folder in the picture was created by me and the items in the math boxes were also prepared by me. Please keep in mind that all materials used in testing must meet TEA's approval. 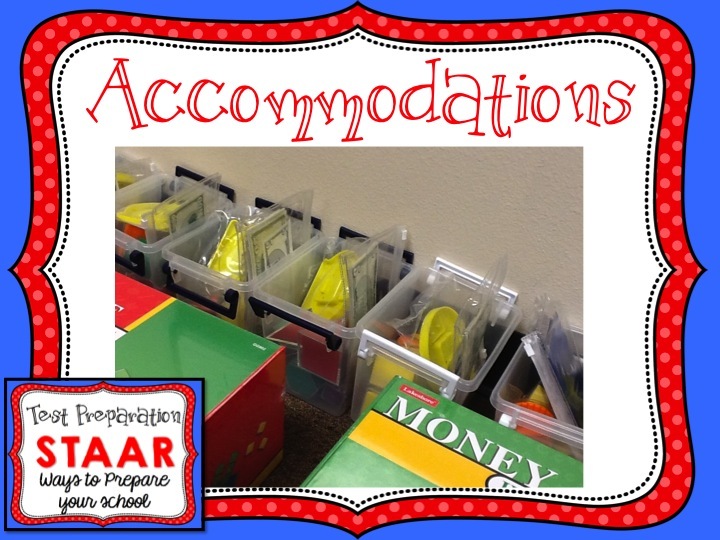 The items shown are used in classroom testing and daily instruction and not necessarily on the day of the test. I hope you find this post helpful. 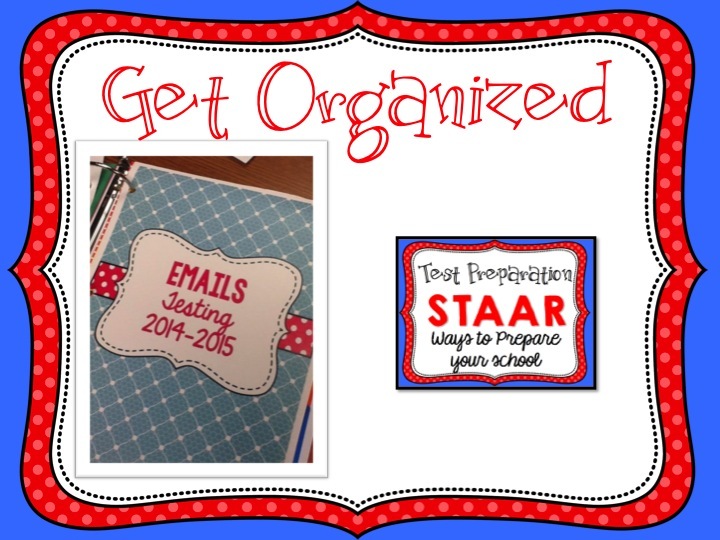 If you are a school administrator and need help this year, let me know. I will be happy to provide suggestions.